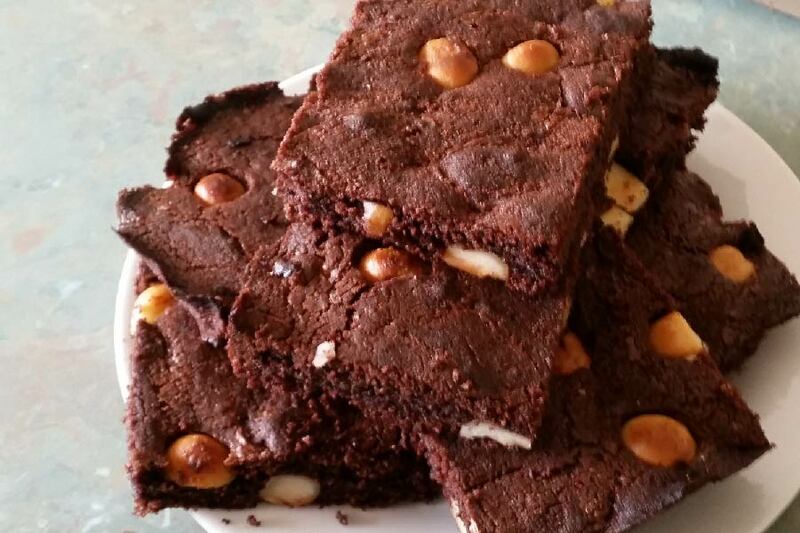 Low Carb Chocolate Macadamia Nut Brownies | Keto Recipes! When you are living a Keto lifestyle, It’s super important to prepare as much as you can, Especially when it comes to Keto Friendly Snacks. Having some low carb brownies in the fridge mixed with Whipped cream might be just the thing you need to stop you from eating that chocolate bar. Not too mention that Macadamia Nuts are packed with Omega 3’s, mono saturated fats and are a great source of amino acids and protein. So here is an awesome recipe that will surely become one of your favourites. Each brownie is 262 Calories, 27.3g Fats, 2.3g Carbs, and 4.2g Protein. Mix the butter, erythritol, and coconut oil together in a large bowl, be sure your butter is at room temp if you can, Mix up the fats and sweetener together, until it’s as smooth and creamy as you can get it. Add in eggs and vanilla extract into the butter mixture, Try not to use cold eggs as they may solidify your oil. Mix it up well, Then add in your baking powder then mix again, Then add your Almond Flour and half your Macadamia Nuts and mix again. Spread batter onto a baking tray and use the rest of the Macadamia Nuts on top and press them into the mixture. Try to spread them out so you are getting some Macadamia Nuts with every bite. Bake for 25 minutes, or until a fork comes out clean. let sit for 10 mins to cool before cutting into segments. You should get 9 brownies. That’s it! Enjoy and try not to eat them all!